Are you leaving your horses exposed to the elements when they’re running around outside? This could lead to health problems and make your horses uncomfortable if you’re not careful. Deer Creek Structures has portable run-in sheds to serve as a solution to this problem. 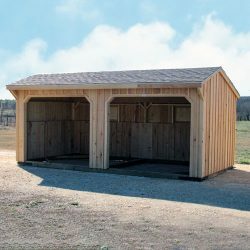 Made using cypress siding and other durable materials, the 8-foot, 10-foot, and 12-foot run-in sheds in New Mexico available through Deer Creek Structures will give your horses a place to go when the weather takes a turn for the worst. They’ll also give you the freedom to move your run-in shed around as you see fit. 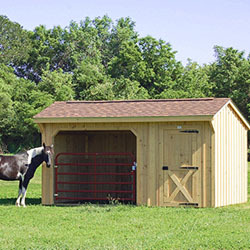 The 8-foot portable run-in sheds from Deer Creek Structures are designed for those who keep just one or two horses on their property. They’ll give your horses plenty of room to relax after stepping out of the sun, rain, or wind. You’ll also find it to be incredibly easy to pick one of these run-in sheds in New Mexico up and put it down elsewhere. Those who have more than just a horse or two will want to provide their horses with more space when they step inside a run-in shed. 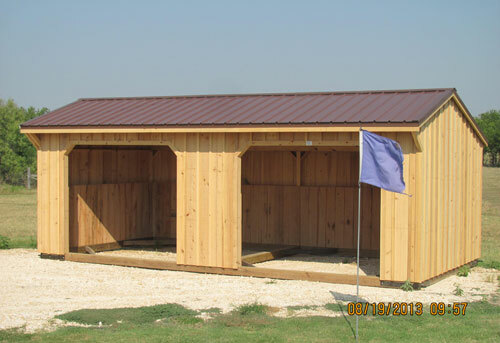 The 10-foot portable run-in sheds from Deer Creek Structures are a much better option for these horse owners. They’ve got the room your horses will need to shield themselves from the weather at a moment’s notice. If the 8-foot and 10-foot run-in sheds from Deer Creek Structures aren’t quite large enough for your New Mexico property, a 12-foot run-in shed should certainly live up to your expectations. 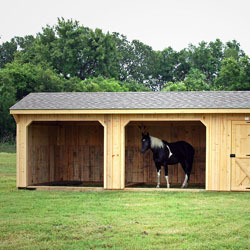 As you would guess, these portable run-in sheds have lots of extra space and can accommodate larger groups of horses. At the same time, they’re as easy to move around as the smaller models and prove to be every bit as portable as you need. What More Does Deer Creek Structures Build? 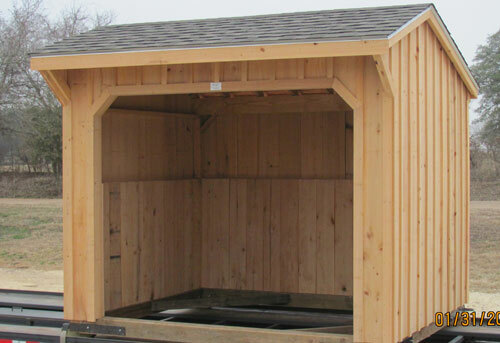 In addition to offering three standard run-in shed sizes, Deer Creek Structures can also customize portable run-in sheds in New Mexico. Simply let them know the size you want, and they’ll get right to work on building one for you. 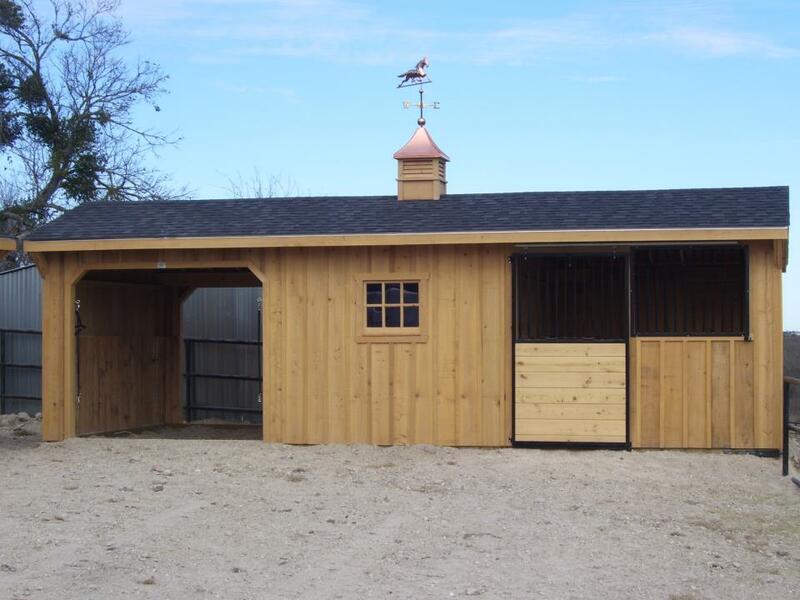 Reach out to Deer Creek Structures at 254-546-2276 today to see how simple it is to have a horse shed delivered.